When the builder asked a recent client to select their preferred stacked stone for their fireplace, I reminded them that their favoite fireplaces (in their wish list file) were all white, not stacked stone. It’s easy to get sidetracked when you’re making hundreds of decisions during new construction or remodeling. A wish list or favorite photo file is good to refer to ever so often – so you stay on track. You can keep them in an Idea Book on Houzz.com. A picture is worth a thousand words! Look through Houzz photos, to help you decide which look you’re drawn towards. Better still – it will give you the tools to communicate your wish list with the builder or cabinet maker. 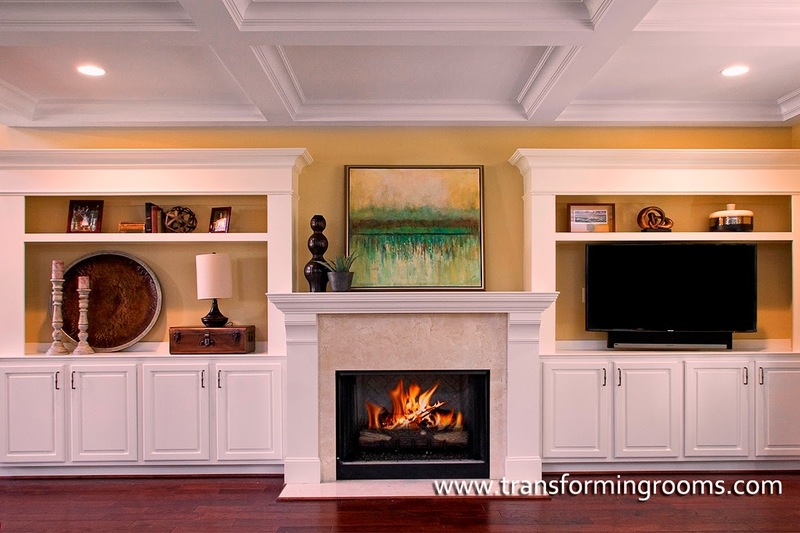 The above client’s “dream home” photos from Houzz indicated they preferred a white mantle, not a stacked stone fireplace like the builder suggested. If you’re unsure which style is for you, save photos in ideabooks on Houzz. 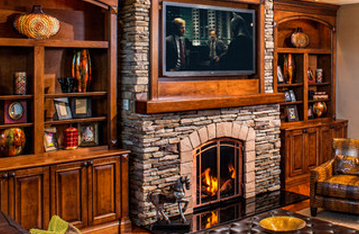 Here’s another stacked stone fireplace surround from Houzz. Have a comment? We’d love to hear from you! Questions? Be sure to email us instead. 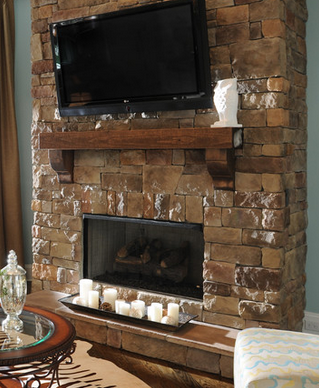 Whether you go with a stacked stone fireplace with wood stain or a white mantle is personal preference. It helps to study photos on line and ask yourself which ones you are drawn to. It will set the tone for the style of your room. 5 quick steps to change your traditional style home to a more transitional or contemporary look!